The Department of Conservation in Dunedin was looking to move into refurbished offices, but there was a problem. 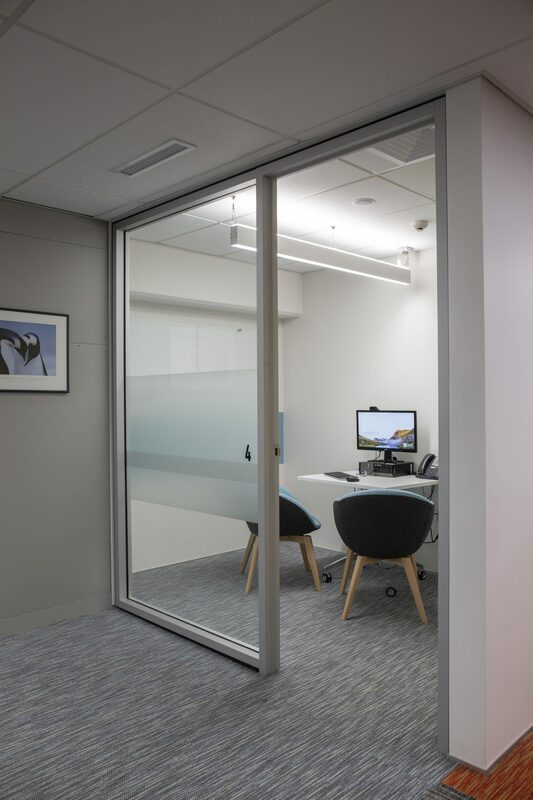 The project engineer, Justin Hobbs of Pedersen Read, was faced with the issue of a low ceiling which was making the space feel like a cave - not an appealing place in which to spend the working day. 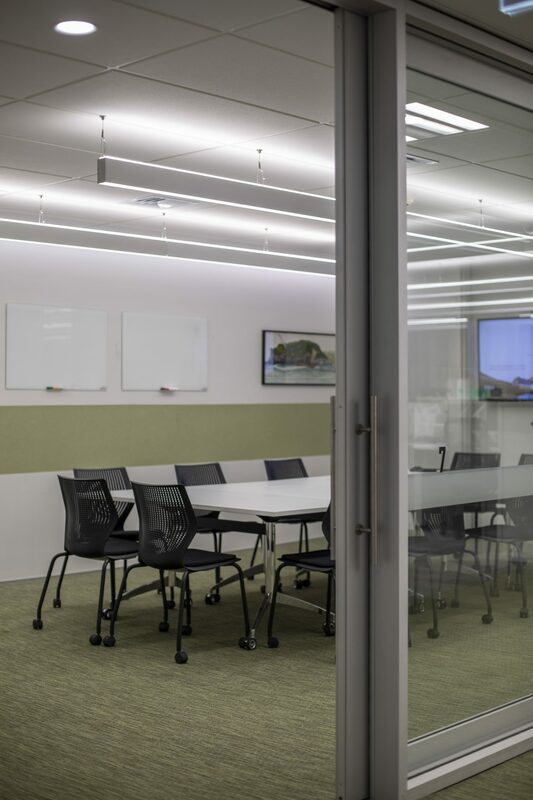 For an elegant solution, Justin used a suspended linear lighting system with both direct and indirect light output. Justin chose the Kvadra 106 system from Inge. The result is a series of visually seamless lightlines with no light leak and no dark spots at the ends of runs. The Kvadra 106 has an opal diffuser and DALI control on the downward side. This gives the user control of the direct light output so it can be adjusted to suit the task. 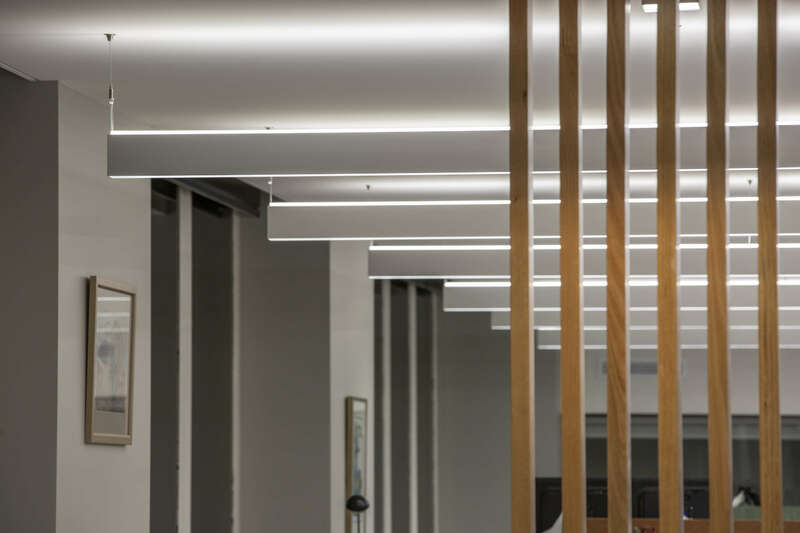 The upward light illuminates the ceiling with a soft glow, eliminates the claustrophobic effect of the dark surfaces and gives a feeling of lightness and space above. The project used 48 runs of Kvadra 106 ranging in length from 1.7m to 9m. The product is also available with different widths and other mounting options. 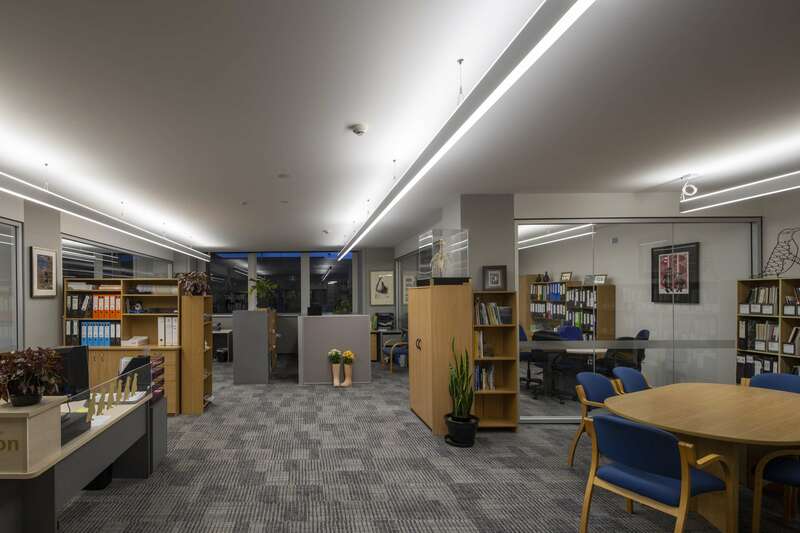 A lighting audit leads to energy savings - and more light.